Thinking of Doing a Soft Launch for Your Mobile Game or App? I recently released a new mobile game. It’s a puzzle game named “Tolaca Rocks.” While this is not the first game I have released (been making games for a couple of decades), this one was special. Perhaps because it was the first direct release from my current company, with a very young team full of hope in Peru, South America. The game is not a commercial success, at least not yet, but it has helped us learn a lot about how to compete against larger budgets and companies that seem to have unlimited resources. We learned that the will to succeed, and a team’s dedication to the task, matters a lot. This is not a complete surprise since human capital is the most valuable asset of any company—when a talented group works together to achieve a goal, the goal is more accessible. I wanted to share what I learned about how to soft launch a game successfully, particularly when you need to do it with limited resources. Find below five easy steps for a best practice soft launch. Leverage friends and family, your immediate community. Use all the free and low cost tools like social media, marketplaces, other free tools. Even a small sampling, let’s say 1,000 players can provide a good sampling of performance and areas to improve. 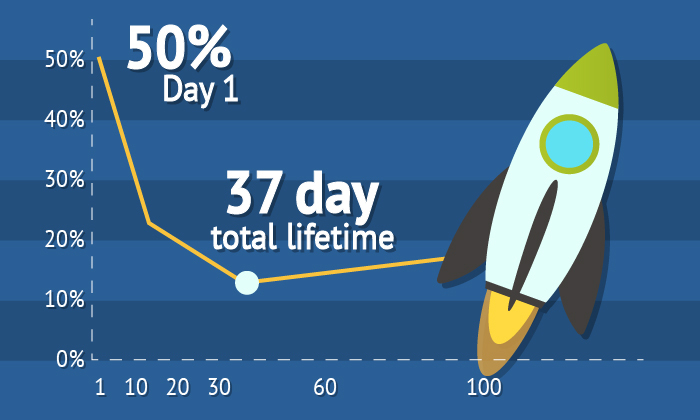 Pay attention to metrics, retention; day one, first week, first month are classic examples. Observe your conversion rate. It can help you project what you need to spend, or can help you decide next steps if your marketing budget is limited. Carefully review performance, fun factor, difficulty, user interface, and overall user experience. Look for markets that have affinity for or need for your type of app or game. If budget is limited, consider cost efficiencies. Make sure that your OS requirements are correct. Set up goals and monitor them. Make adjustments to your game or app and release them as soon as possible. Don’t be concerned about updates. After all, this is a soft launch. Once you have a proven build of your game or app you are ready for a hard launch. Remember what you learned during the soft launch. Be consistent, review analytics, pay attention to user satisfaction. If possible, have an active community manager. You can learn more about my game “Tolaca Rocks” at www.tolacarocks.com. It’s free to play, so give it a try. I hope you find this information helpful, I will cover hard launch lessons learned in another post in the not too distant future. Click here for a free subscription! Copyright 2018 North South Studios LLC. All rights reserved. Join other tech savvy readers in the know. Receive fresh insights on a regular basis.